Free Of Debt wins the VRC Member Duane Rogers Plate at Flemington, 19/1/19 (Racing Photos). Free Of Debt can end a long run of outs for Victorian-bred colts in the Group 1 Golden Slipper Stakes over 1200 metres at Rosehill this Saturday. Canny Lad (Bletchingly) was the last Victorian-bred colt to win the Golden Slipper way back in 1990. He was bred by the late Alec Dodson and went on to carve out a successful career at stud siring 55 stakes winners before being pensioned in 2011. 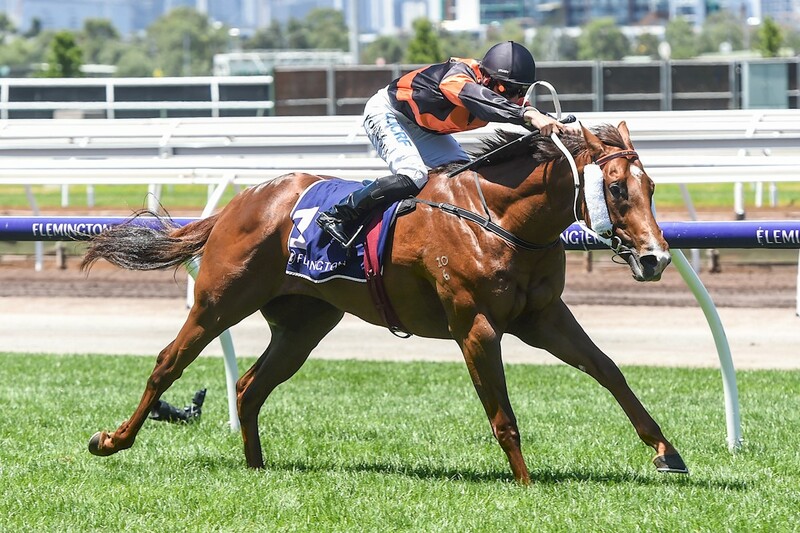 Free Of Debt (Unencumbered) was bred in Victoria’s north-east at Greta West Stud and is already assured of a start at stud after being purchased by Aquis Farm last month. He has settled in perfectly since arriving in Sydney and trainer Chris Bieg can’t wait until the world’s richest juvenile race. McCarthy has a Keep The Faith half-sister to Free Of Debt catalogued as Lot 141 through Bucklee Farm for the Inglis Gold Yearling Sale at Oaklands on April 30. He also has a Master Of Design filly on the ground from their dam Stagerush (Giant’s Causeway). Stagerush was a Sandown winner for Limerick Lane’s Gerry Ryan and he sold her as a broodmare prospect to Greta West for $22,000 at the 2009 Inglis Great Southern Sale. McCarthy gave her a year off this season and, win, lose or draw this Saturday, he can expect to trade up to a high-profile stallion come September.